As we are reaching to end of year 2009, where we are also celebrating a decade of National Telecom Policy-99, which paved ways for phenomenal telecom growth in India, Telecomblogs thought of taking a overview of India’s Broadband Growth, in a decade’s span. And while I was preparing to write, it was becoming evident that on one side when we weigh Mobile Penetration as benchmark; broadband penetration fades distant away with insignificant record of growth in last decade. When I mentioned NTP-99, two thoughts just came to my mind. Should DoT possibly think of revising a decade old policy on telecom reforms? And if there isn’t anything on revision of NTP-99, can we have a brand new Broadband Vision -2020 policy, for next decade, based on few ideas published on SiliconIndia? Now coming back to our present topic of discussion, latest Pyramid Research report says, India had 0% per-population broadband subscribers in 2008 and number grew to 1% in 2009 (which is actually <1%). While as perTRAI’s report on broadband stats, India has 7.5 million Broadband subscribers at the end of Nov-09. Though we have added approx 2.1 million subscribers (Dec08-Nov09) in span of one year, if you compare it with avg monthly rate of mobile subscriber addition (8 million/month), it’s insignificant. Broadband growth has become more than a blot is shining Telecom Growth story. Now let’s go back to an very important ITU report on, Birth of Broadband. 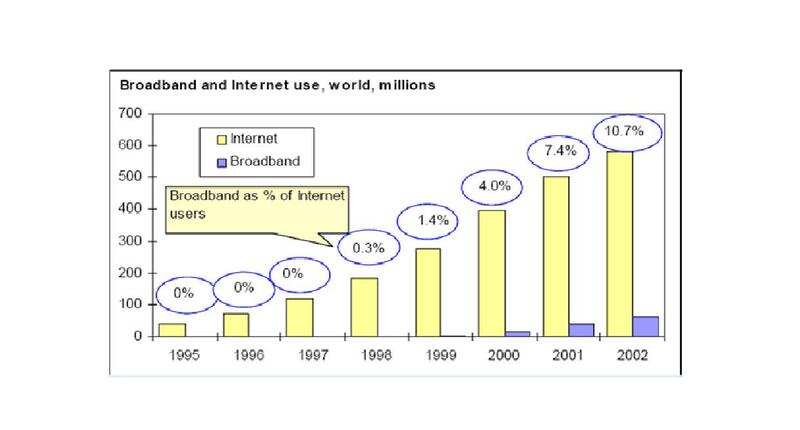 The chart shown below gives us clear idea of Global State of Broadband during 1995-2002, the Web1.0 era, when Google was just 3 yrs old and Facebook, MySpace was yet to born. Till 1998, some 12 years back, we had only 0.3% global broadband subscribers and number grew to 10% within span of four years. Though, there is significant growth in Internet usage globally, India was way behind. •	High cost of Last Mile Infrastructure (Copper etc). •	Lack of content and applications in regional languages. Moving ahead with TRAI’s recommendations on Internet & Broadband Growth (2004), India had 0.4 Internet connections and 0.02 broadband connections per 100, while Korea & China stood at 25 & 1.4 respectively. While India was adding 0.28 million/month mobile subscribers in 2002 and the number grew 2 million/month, broadband adaptation hasn’t pick up to any reasonable level. But why Broadband growth is significant? Why we are stressing on Broadband? But then why growth of Broadband is slowed down? Why it couldn’t achieve its target? According to CII, at least US $2.6 billion investment by 2010 and US $5.35 billion by 2020, will be needed to achieve the growth, which might have fallen short. This investment is needed primarily in field of urban networks, domestic and international backhaul, content delivery and rural build out process, which is itself a formidable task. There are many hurdles unattended. Despite some known issues, as mentioned earlier, there’s little work carried out. Table here shows the further dismal growth of Internet & Broadband subscribers in India. India had < 50k broadband subscribers in year 2004. In Mar-2007, the figure reached to 2.34 million, amounting to 50 times growth in broadband subscriber base within span of three years. Now, as per latest TRAI’s released stats, this subscriber based reached to almost double within next one and half year to 5.4 million by end of Dec-08. And as said earlier we have 7.5 million subscriber using Broadband connections (> 256kbps). Now coming back to TRAI’s recommendation on Broadband Growth released in 2007, the earlier prediction of Broadband subscriber growth has already some missed targets. We have yet to achieve 9 million broadband sub base mark, which could have been achieved in 2007. Now, let’s not talk about overestimated target of achieving 20 million Broadband subscribers in next one year. Telecomblogs believe that, we are going to miss one more target once again. Certainly there are few policy issues. Cost of a broadband connection deters prospective subscribers from buying new connections. More or less Internet usage is still limited to Metros and Tier-I cities and digital divide is growing. Though Internet access via mobile is gaining momentum, achieving broadband speed over existing 2G/2.5G/2.75G networks isn’t possible. We will have to wait till 3G/BWA spectrum auction happens to achieve mobile broadband speed on move. Issues pertaining to Broadband aren’t something which can’t be tackles systematically. DoT and government has to play central role in encouraging Internet Infra rollout and filling up digital divide. Highest broadband speed achieved in India until now is 16Mbps, which is significant, but there’s little awareness over power of Internet connection among people. Certainly, we are still far away from becoming a Knowledge Society and Broadband adaptation has central role to play in it. Wish you a very Happy New Year Ahead! ‘Airtel Mobitude2009’ – Old Wine in New Bottle! Recently, Bharti Airtel, released India’s First Mobile Phone Usage Survey ‘Airtel Mobitude 2009’. This study shows the preference and choice of over 116 million mobile users located across India. The report is based on the compilation of data that captures all downloaded content by an Airtel Mobile user during 2009. The survey was based on different parameters, which at the end reflects interesting choices and preferences of ‘Mobile India’, says the report. According to Mr. Atul Bindal, President, Mobile Service India, Bharti Airtel Ltd, “Spread across 116 million users, Airtel is best positioned to highlight preference and choice of India.” He also added that, Airtel’s consumer usage analysis has thrown up very interesting results that truly highlight what an Indian prefers across the length and breadth of India. • Sachin Tendulkar is the most popular sports stars ahead of MS Dhoni. What does the survey signify? There are little details available and those available are much obvious to take note of. Like users send maximum sms on New Year eve or even Sachin Tendulkar is more popular than Dhoni. Some other details in music section also throws little insight on user download patterns, though report highlights the fact that regional music is equally popular to Bollywood songs. But if you ask Telecomblogs, it’s just old wine in new bottle show by Airtel. Such reports are generated by Airtel every year across India, had they released mobile data usage pattern or even rural/urban mobile usage pattern, report would be more useful. Till more details are available, we rate ‘Airtel Mobitude’ is quite ordinary in present context. The Smartphone wave will continue to dominate the next few years, predominantly in emerging markets, says Pyramid Research, in its latest report on ‘Global Smartphone Forecast’. While it focuses on operator and vendor strategies, along with cutthroat competition among various mobile OS platforms, there are little surprises in the report. The report also investigate the detail state of Smartphone market in eight crucial market, namely China, India, Brazil, Turkey, Russia, US, UK & Nigeria etc. •	China will become the biggest Smartphone market overtaking US in 2010, while other markets like Brazil, India, and Nigeria will record compound annual growth rates above 30%, through 2014. •	There lies huge opportunity in Smartphone segment, with unit sale may cross figure of 1.8Bn by end of 2014. •	As operators’ strategies vary across countries, so too do the market shares of operating systems. Because of local conditions, the BlackBerry has a strong market position in India, while Linux-based systems do much better in China. •	Operator’s strategies differ a lot based on method of payment; postpaid and prepaid. In dominantly postpaid markets, where there’s no dearth of subsidies which produces high competition among operators, vendors like AT & T are offering subsidies on handsets along with attractive data plans to woo customers. •	While in predominantly prepaid markets, such as Russia, operators like MTS are focusing more on value added services (VAS), by offering cost proposition over the content offered. It would be really interesting to see how Indian market players will come up with innovative VAS, to improve Smartphone penetration , which is dominated by prepaid category of subscribers. You will find some other interesting questions answered in report like, how Smartphone market adaptation will unfold in next five years? What are the vendor strategies which will pay the returns? How Smartphone market will look like in 2014? Etc. As Nokia continued to show disappointing results in Smartphone segment, while Apple became the most profitable handset maker recently, the Smartphone segment shows interesting trends. Though handset market shows sign of recovery, there’s a lot to be unfolded in coming years. Market is still open for top spot! Should You Really Go After ‘Per-Sec-Billing’ Tariff Plans? Recently, I got an interesting email from a friend with subject, PAISA BY PAISA ACCOUNT OF YOUR BILL, where he explained the hidden picture of Pay-Per-Second plans. The buzzword ‘Pay-Per-Second’ or ‘Per Second Billing’ is surely a catchy phrase, but there’s lot needs to be known before we jump on choosing such plans. Like the article says, most of the ‘Per Second Billing’ plans are in prepaid category. So, if you are a postpaid value customer, you need to give up the perks of your post-paid account to avail benefits of per-sec plan. Also, there are some other plans like 50 paise/min, which are even cheaper than per-sec plan. Though these per-sec plans sound cheaper, switching over to these plans should be decided based on usage pattern. Let’s say, your STD calls outnumber local calls, then you should use special STD packs, like Idea Cellular’s recently launched STD pack in Kolkata region, which charges local & STD calls at Rs 0.5/min. 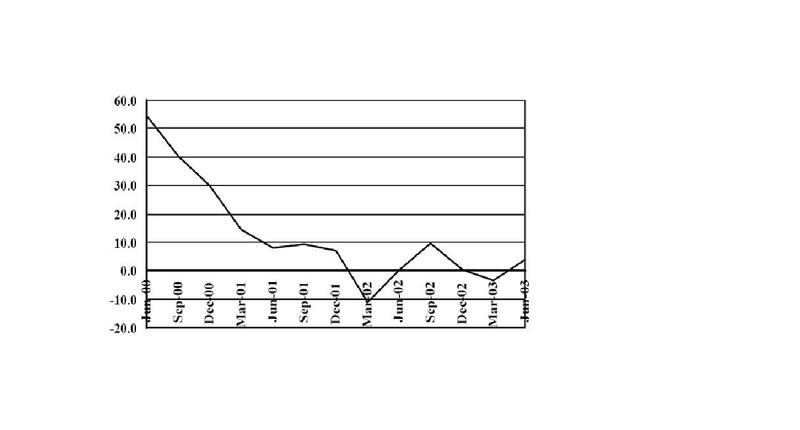 Though, call rates have dropped down, SMS rates are still on higher side. With Uninor’s prepaid plan, recently launched in AP, Bihar etc circles, you can avail lowest call rates of Rs 0.29/min for local & Rs 0.49/min for STD (from second min of call), but you have to pay Rs 0.10/Rs 1.49 for local/STD SMS, which is still quite high. Same is true for most of the other operator’s SMS rates. So before you jump on per-sec plan, you should have clear understanding of your usage pattern. Do you make lot more STDs than local? Should you switch to new operator’s cheap plans, but then what about roaming rates? If you travel a lot, then plans like DoCoMo’s 1p/sec on roaming or Vodafone’s ‘Travel Plan’ will give you added advantage. Certainly, Per-Sec-Billing has proven beneficial to new telcos like Tata-DoCoMo, but the first mover’s advantages are eroding fast as old players like Idea, Reliance, Airtel, Vodafone etc all have followed the suite. It’s up to you to decide now! Let’s talk about recently concluded ‘Telecom India -09’ show at Pragati Maidan, which was 4th in row and jointly organized by DoT & FICCI. 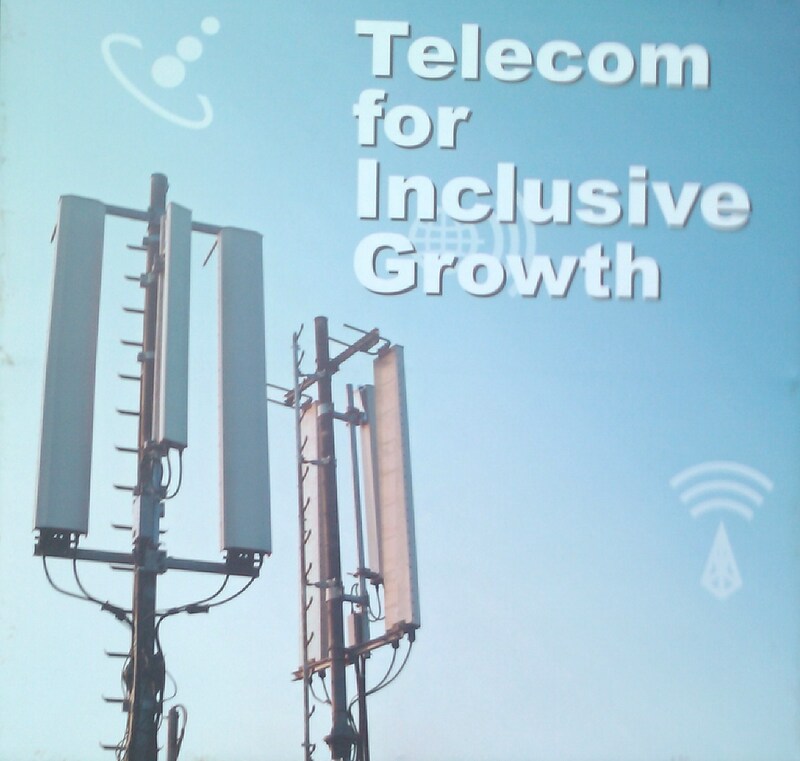 This year the focus of the event was ‘Telecom for inclusive growth’, much in line with GoI’s UID (Unique Identification) program, which mainly addresses the identity issues of poor class (Along with forming unique identity across all Government domains for all Indian citizens). The same has been emphasized by Honorable PM in his keynote address, where he assured audiences that proposed 3G spectrum auction will take place on 14th Jan 2010 only. 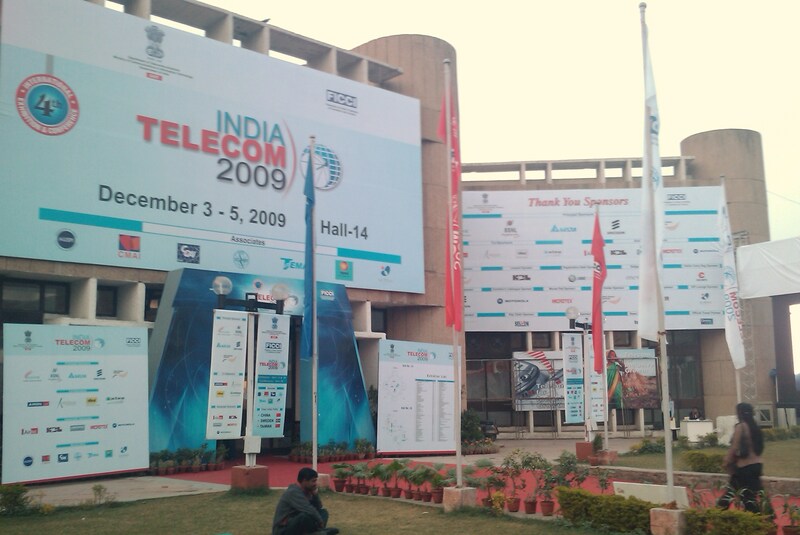 If anyone of you has attended last year’s Telecom India-08 show would say; this year the show was complete lackluster display of poorly performing Telecom Sector. Last year, at the same time when PM launched MTNL’s 3G network in Delhi, there was lots of hype surrounding the 3G services. Since then, we have been constantly hearing the debate surrounding reserve price of spectrum between FinMin and DoT. Later ISRO and Ministry of Defense joined the fray and denied the release of some part of spectrum in Delhi et all cities. And last year where the focus of Telecom India -08 was ‘Rural India’, how much goal was achieved till date is real question. except at MTNL’s recent launch of ½ paise STD plan between Delhi & Mumbai. MTNL is also betting on slashed 3G rates supported by Netbook deals (Dell Mini), which might help them in grabbing some 3G market shares. Some key technologies on display included Power solutions at BSS end (which was key thrust at last year’s event); especially ACME’s Rural BTSs (Green Shelter), but it certainly lacked thunder. In fact this time I decided to skip visiting stalls of power & GenSet companies, as I fear they might lose if 3G roll-outs are further delayed. Other notable absence was of Samsung & LG devices units, though Samsung displayed key researches in WiMAX area; I was curious to see the latest developments from Korean handset makers. I really doubt whether India is focus area for these handset makers or not? 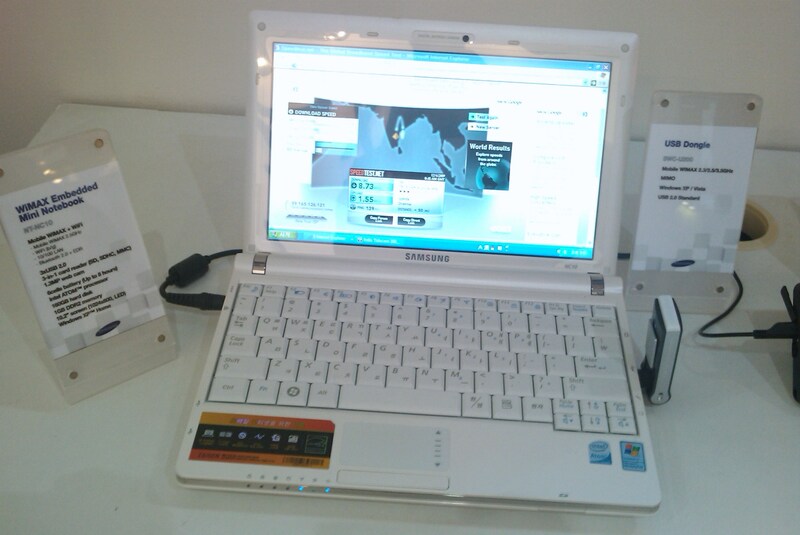 As usual I got to see HSPA+ & 3G demos by Ericsson on Dell Mini, but certainly this is mere technology Up-gradation demo. We still don’t have 3G and it’s causing lots of pain. 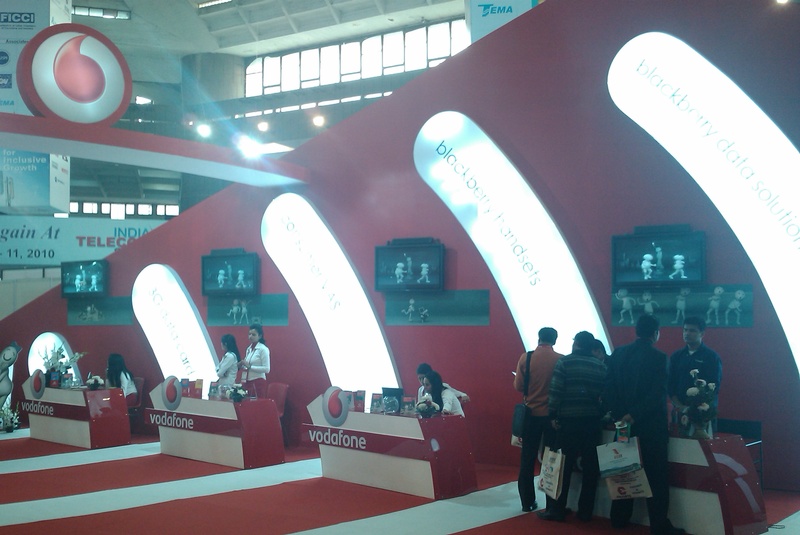 Though in mean time I visited Tata-DoCoMo stall, who of course is betting too much on pricing of voice rates, I doubt whether they will get 2G spectrum in Delhi soon. On the other hand Motorola, another telecom major in North America, has displayed WiMAX solution demo, though I was expecting to see demo of Droid phone, which is currently one of the best selling Smartphones in North America. 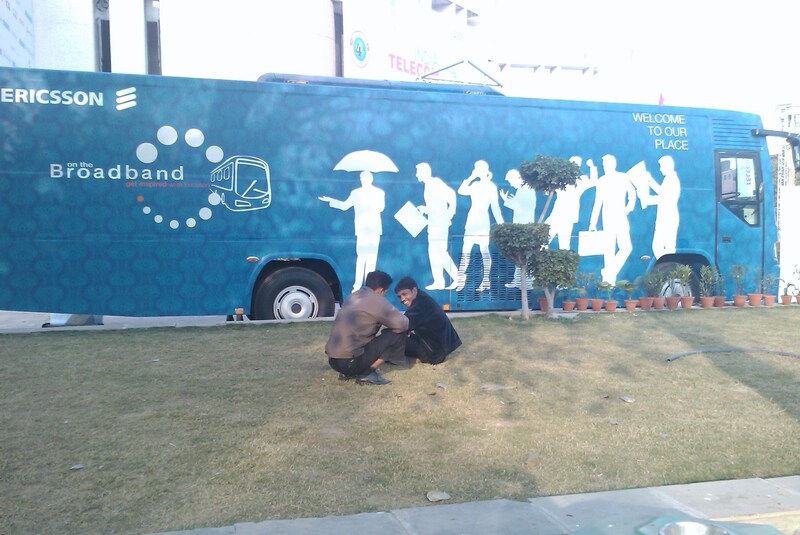 Ericsson’s broadband bus on field provided glimpse of multimedia services on roll, but denied to disclose interested parties name. Ericsson (As well as Nokia), betting on their global 3G expertise, and trusted 3G->HSPA->LTE lineup (One of the researcher even proclaimed the Nokia lines ‘WiMAX is next Betamax’ ). Overall, it was drab show and shadow of dark cloud of ‘Pay-Per-Second’ schemes can be seen on future prospects of revenues of Telcos. Already, Telcos are facing lots of stiff competitions, not only from other Telcos but also from other companies, (VoIP/IPTV/WiFi/Broadband/ISPs) to keep hold on their core business (Basic Voice Telephony). And DoT/GoI is doing little to protect the interest of Indian Telecom Sector/Telcos, except focusing too much on pricing innovation. 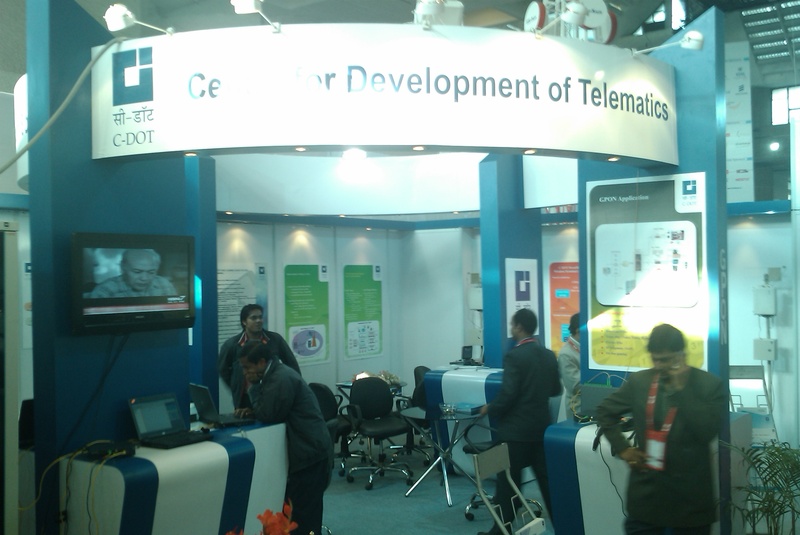 Certainly, India isn’t hub of telecom devices/equipments manufacturing (CDoT should have realized this by this time, as there was really nothing to showcase at CDoT stall) and if long-term interests of Telcos are not protected, we don’t see much improvement in ailing telecom sector soon. Perhaps the only reason I am writing on this off-bit topic here at the end of the day is; I should be. As rightly said Silicon Valley is unique place and can’t be replicated elsewhere, by Om Malik, we people do appreciate the stand taken, but at the end every place is special in its own regard. I never worked in Silicon Valley, neither I had a chance to work in Indian Silicon Valley i.e. City of Bangaluru. I started up my career in a small company as a hardware engineer working on Linux server installations and moved along my career. And today after spending few years in Indian Software & Telecom Industry I could say, yes we lack something very crucial here, which should have been integral part of our work life. We often take our career seriously. The juggling art of work-life balance can’t be perfected in India, but when I look back at different phases of my career, starting from small company with meager pay package, where survival was tougher after 9/11, to big renowned brand, I often missed something or other during each phase. During initial phases of work life, where I had fortune or misfortune of being underpaid, I never considered myself lucky. Like everyone else, I had cherished dream of going to US and work in Silicon Valley. And everyday I felt I should have done it. Why? What place does India hold for me? Do I love my nation when it comes to work life or job satisfaction? Certainly, there is glitch in answer. Till date I didn’t get to work on ideas (except very few occasions) and always followed something or other, every day. I often found replicating things a big obstruction, when you are a real creative person. I didn’t try something of my own, but then I found everyone around in the same state of affair. Needless to say, we all were sailing in same boat. We here often blamed something or other for our current misfortune (including the recession), and often try to distant ourselves from actual problem, of which we are a part. We never stood for anything. We hopped from one place to other chasing elusive dream of job satisfaction often full-filling other people’s goal, and at the end finding that every place has its own issues. And certainly like in Silicon Valley as mentioned, we never tried our mettle (certainly few of us did so) to dream big and think big, including me. Why is it so? Partly blame goes to environment we belong to. Apart from my days in TIFR & Mithi, I never dream big. I never chased ideas. I didn’t get to. I am still the same. And now after moving from Pune to Mumbai and then to Delhi, nothing changed. It is all the same. No industry takes innovation seriously; neither do we care for it. We have our own home grown principles or values and at the end we don’t stand for them. It’s mere a matter of time that we will find ourselves pushed distant apart, till we realize it. 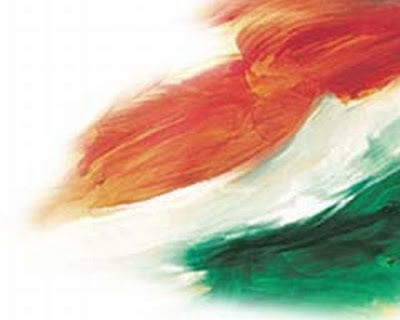 One upon a time while working for Mithi Software, CEO Tarun Malviya said to us, ‘Tell me a single software product we sell across globe, which has a stamp of ‘Made in India’. I was speechless. I didn’t have answer. We dream big at Mithi. We dream of building world class email solution product, competing directly with Microsoft & IBM on their home ground. I still cherish those days. At least we had dream to chase in day and spend sleepless nights at home,thinking about it. It was far better than target based industry. I cared for making difference and as said by Om, it’s how we look at things matters. People spent years on small ideas to make it a reality and still failed. Next day, they came up with something else, even bigger than their earlier dreams. They were never tired of trying out something new. They had dream and they always dream big. Perhaps that’s from where the term ‘Bigger picture’ originates. Playing safe was never a cliché in Silicon Valley, like we do. And neither have they run business only by looking at revenue or profit figures. It makes difference. Very few of us may conceive it fully. But after trading myself in different industries I still find chasing dreams an uphill task. I still wake up very day to convince myself; someday I will understand that this is how we work here. Sometime back, I was going through the article of our former President of India Dr.A.P.J.Abdul Kalam, who rightly said that Indians are pretty good at solving other people’s problems than solving their own. We give little importance to contributing back to society. I tried it sometime back, but then struggling here in monotony is a challenge too. We do it and even don’t miss a chance to complain about it either. We failed to make little difference often, because we dream little and never looked beyond certain aspects of job security. Perhaps, most of us will agree with me. It’s not about Silicon Valley as a place, but about individuals who dream big and who weren’t afraid of trying it again and again, in spite of failures. Other day while I was going through few posts related to Femtocells, I wondered is it really safe to completely disregard the future of femtocells as a whole? As said, femtocells might be facing stiff competition from Wi-Fi, but that doesn’t mean we should start putting it out of question. Before we delve deep into the subject, let’s focus on what we are expecting from femtocells. (Refer Femtocell-Wiki for basics of Femto). Femtocells are primarily going to be used to improve the indoor coverage along with adding capacity to already saturated cellular networks. As most of the 3G networks operate in 2.1GHz frequency band, it’s imperative to provide good indoor coverage. This comes from basic principles of radio wave propagation, which says that higher the frequency of operation poorer will be the indoor penetration. And as cellular networks are moving from widespread 2G 900/1800-1900 MHz band to higher frequency range, indoor coverage becomes a major issue. Femtocells are quite useful in addressing this problem. Typically they act like a cellular base station, albeit Home only, connected to cellular network via DSL line. This home base station or femtocell will then provide good indoor coverage as well as carry data traffic, while supporting 2 to 4 users at a time. But then, existing Wi-Fi hot-spots are doing exactly the same job, with little difference. And now many high-end smartphones are imbibing Wi-Fi capability in their phones, do we see any clear road map for femtocells? The recent decision by China Unicom, the Chinese carrier to offer femtocells product to its customers may prove a real booster for femtocells. Earlier, when iPhones finally entered into Chinese market, due to government restrictions on Wi-Fi, first generation iPhones sold didn’t have Wi-Fi capability, and may be that justifies the reason why femtocells may find some room in Chinese market, albeit we aren’t sure of cost dimensions yet. Otherwise, Open source platforms like Android are showing brighter sign in long-term evolution in Chinese market. Coming back to discussion, Wi-Fi basically offers cost-effective way of connecting multiple devices to Internet. Do we see them carrying voice traffic or offloading voice traffic from existing nearby cellular tower? We don’t. Certainly they do carry lots of other data, here comes the basic difference. Femtocells can carry voice as well as data traffic (Video, P2P etc), and we do see them offloading both voice & data traffic locally from existing Macro base station, which will be in much need for already over-loaded cellular network. This comes to final point of the discussion, as pointed out by Aditya Kaul from ABI research, that Indoor coverage is going to be key area of differentiation in 3G era and we should show little bit of more patient towards femtocells till they widely get accepted. Certainly, I agree with him, as every new technology needs certain period called technology maturity cycle till it finally gets adopted widely. Though, we do have passive DAS and 2G Picocells for better indoor GSM coverage, femtocells will strengthen the assumption of providing better indoor coverage at higher frequency spectrum. Certainly, femtocells will exist, not independently but complementing existing DAS/Picocells and offloading both Voice/Data traffic locally. We do need handset capability, though, as femtocells operate in licensed band while existing Wi-Fi is unlicensed band of operation. Till we find integrated support for both, let’s keep finger crossed. Femtocells may find way in our homes soon!